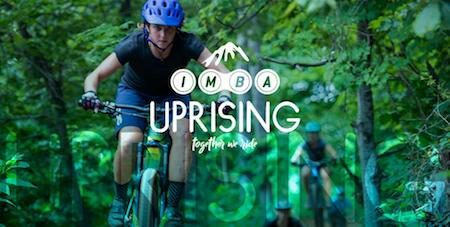 The International Mountain Bicycling Association (IMBA) will host the first-ever IMBA UPRISING event to bring together female leaders in mountain biking from all over the country who are cultivating strong riding communities in their backyards. The event will take place March 22-25, 2018, in Bentonville, Arkansas. UPRISING is two-and-half days of hands-on collaboration among dedicated, engaged and influential women in the sport to share, learn and ride together in beautiful Northwest Arkansas. The event will highlight the best women’s riding efforts happening across the country in a format designed to provide best practices, information, resources and networking opportunities centered around four guiding principles: Build, Ride, Learn and Engage. Join leading female trail builders, IMBA chapter presidents, ride leaders, coaches and advocates who are influencing an evolution in mountain biking. For the official word from the IMBA, please follow the jump. Where have we been the last 13 months? Dean Ween (half of one of our favorite bands of all time) put this Exercise Man video out over a year ago and it just made it through our feeds via a snowboard event musical line-up. How, how, how can we be so out of touch? Oh, maybe it’s the whole bike thing. . .
Have bike related communiqués (or vicious rumors) that would look good on Bikeistan.com? Please email us by clicking this link.